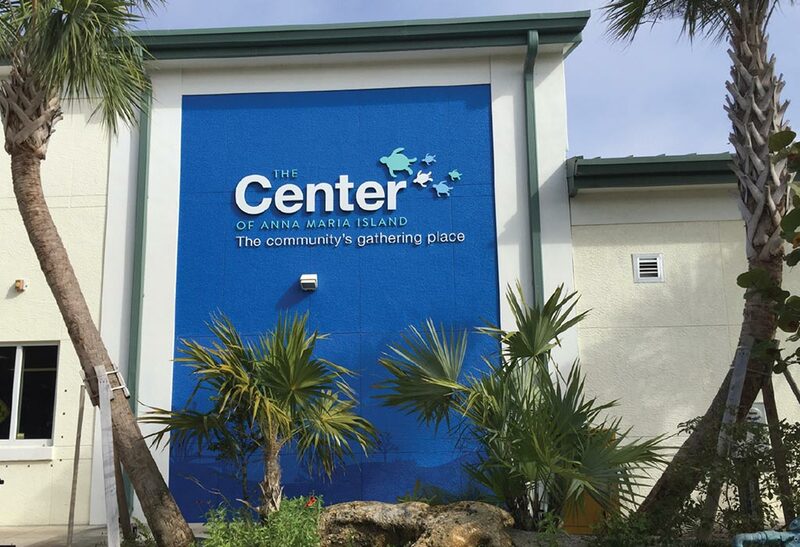 To enhance the enjoyment and protect the safety of all users of the Center of Anna Maria Island and to maintain The Center as a clean, well-maintained facility, all members, visitors and employees are required to adhere to the following Code of Conduct. Every member, visitor & employee will respect all others while utilizing the facility. All users are required to conduct themselves in a manner that does not interfere with another person’s enjoyment of the facility. Every member, visitor and employee is required to demonstrate good sportsmanship. At all times the dignity of others shall be respected. Fighting, spitting, profanity, and/or abusive, insulting or obscene language is prohibited. Every member, visitors and employees will wear proper attire. Please have proper footwear, free of sand. Parents and guardians will directly supervise their children in the facility. Unless in a registered program, youth younger than 12 years old are not permitted in the facility without an accompanying adult. All members, visitors and employees are to keep the Center a drug, alcohol, and smoke-free environment & will promptly report all illegal drug, alcohol or prohibited tobacco usage immediately. The Center is a controlled access facility. Membership and daily admission passes are available at the front desk. Members, visitors and employees will responsibly secure their own personal belongings. Members and visitors utilize the facility at their own risk. The purpose of The Center’s social media sites are to share photos, videos, and information on up-coming programs and events. The Center’s intent is not to create a public forum, but to maintain a moderate online discussions directly relating to topics posted by The Center. That is appropriate for all citizens to read. Please note if you post a comment, The Center reserves the right to delete submissions that contain attacks of any kind, vulgar language, or comments that are offensive. The Center also reserves the right to delete comments that are spam, include links to other sites, are off topic, or go against The Center’s mission, promises, or values. The Center reserves the right to block those who continue to post comments that meet the criteria listed above. Please refrain from wearing sandy footwear. Return all weights to the appropriate racks. Refrain from talking on cell phones. Report all injuries, damages, and/or safety related issues immediately to the front desk. Thirty (30) minute time limit on all cardio equipment during busy times. Allow others to rotate in on weight equipment. Refrain from resting on cardio or weight equipment. This fitness center/weight room is open to all ages 14 and over. Members are permitted to bring their own personal trainers. Members and patrons may sign up to work out with a trainer at the front desk for an additional charge. Bullying of any type will not be permitted. Return all equipment after use. Place your trash in proper receptacles. Smoking, Alcohol and drugs are not permitted on site. Please do not hang on the basketball rims or nets. Throwing objects, including balls, against the walls, bleachers, and lights is not allowed. During sport league events, we ask that all spectators (including children) sit in bleachers. Parents are responsible for their children’s behavior. Please refrain from using foul, abusive language. Please remove dirty or muddy footwear before entering the facility. Report all injuries, damages, and/or safety related issues immediately to the Recreation Director or front desk. Please do not hang on gates, fences or goals. Scheduled activities on the field take priority over open recreation. Any modifications of the schedule will be posted. Throwing objects, including balls, against the walls, fences or bleachers is not allowed. During sport league events, we ask that all spectators (including children) remain on sideline. Parents are responsible for their children’s behavior. No animals on grounds or fields. Service dogs are permitted. Practice times must be scheduled with the front desk staff. Smoking, Alcohol and drugs are not prohibited on site. Please remove dirty or muddy footwear before entering the playground. Return all equipment and chairs to proper place after use. Please share playground equipment with all children. Please do not hang on gate, trees or fences. Throwing objects, including balls, against the walls and fences is not allowed. No animals in playground. Service dogs are permitted.